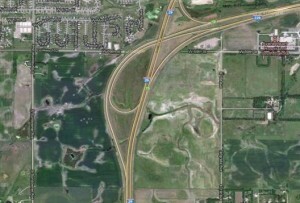 In June, the Lincoln County Commission approved a $15 Million commitment to building a new interchange at the intersection of Interstate-29 and 85th Street in southwest Sioux Falls. 85th Street Crossing is part of a group of stakeholders that have committed funding and personnel resources to developing the engineering studies and planning required before transportation officials will consider a new interchange. With the help of many stakeholders, Lincoln County has taken a big step toward the introduction of 85th Street as a new commercial corridor in Sioux Falls. Read more from the Argus Leader.